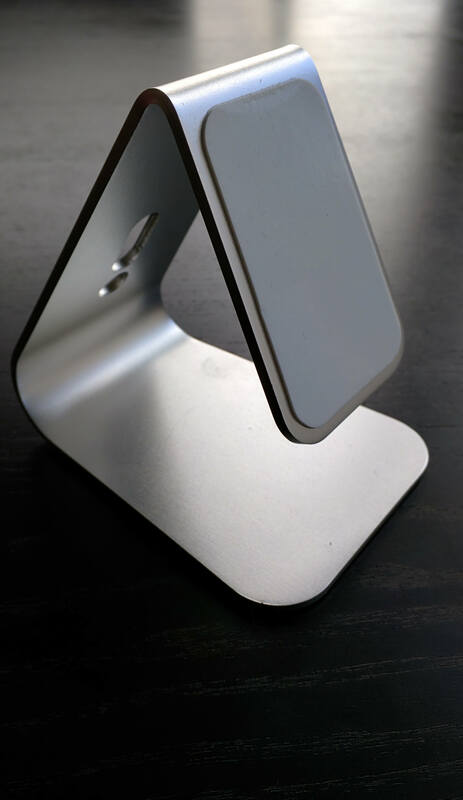 The Kbtel Micro Suction stand’s aluminum body is angled perfectly for device viewing while you are stat at your desk. It also has a unique micro-suction technology that securely holds your device in either landscape or portrait mode. Add to that cable management on the back of it and the Kbtel stand is an elegant and simple design that just works. I will admit that I’m a bit retentive when it comes to my work space. Everything has a place and everything should be easy to reach but equally, it needs to be tidy and organized. I don’t like seeing cables sticking out everywhere and I certainly don’t like my devices sitting on the desktop. They take up space and I already have a small enough desk space. 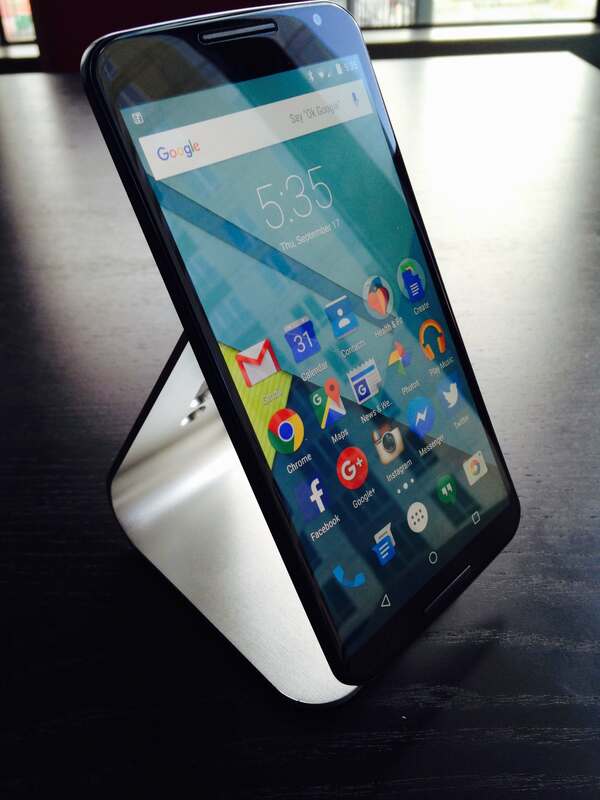 When I started looking for a desk stand for my Nexus 6 and Nexus 7, there were plenty out there but I couldn’t find that perfect one. That was until I discovered the Kbtel Micro Suction stand on Amazon. 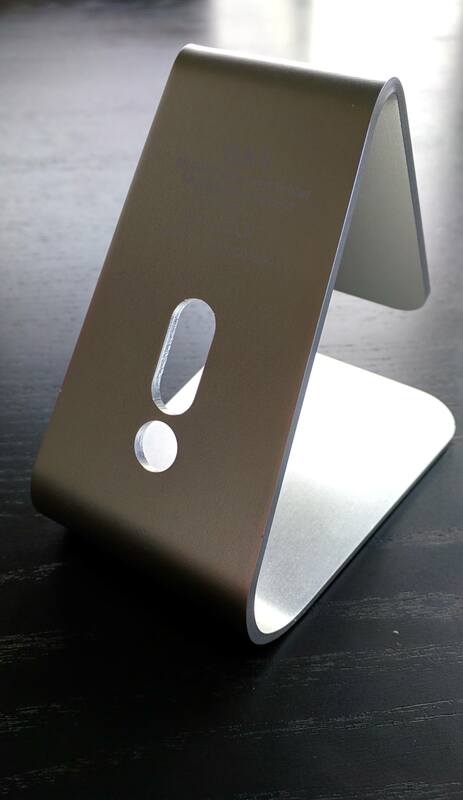 The aluminum body is angled perfectly for device viewing while you are stat at your desk. It also has a unique micro-suction technology that securely holds your device in either landscape or portrait mode. Add to that cable management on the back of it and the Kbtel stand is an elegant and simple design that just works. micro suction pad and a smaller one on the front face where your device sits. On the back of the stand (the neck if-you-will) you will find a small slot and hole cut into the body for you to thread your power cables through or to wrap around so you can take up any extra slack in the cable. really need to adjust it. No matter your height, the angle just works for viewing your phone or tablet. 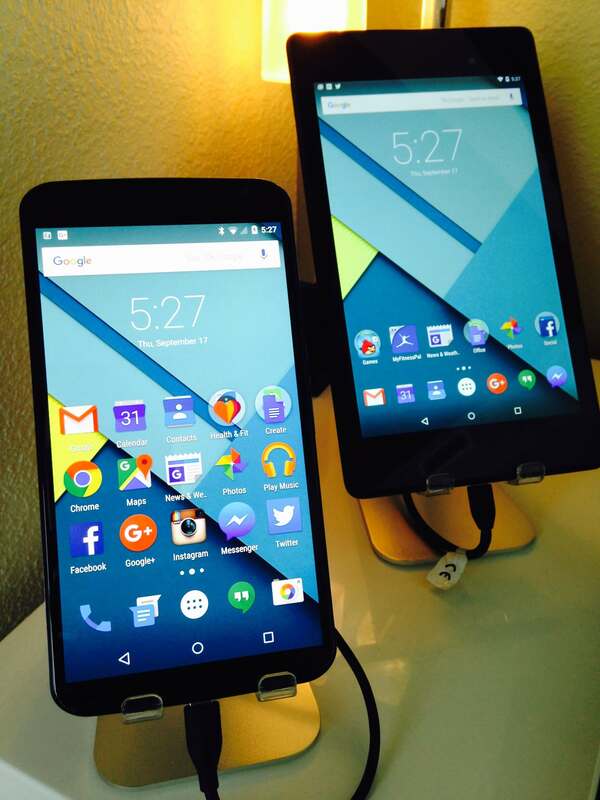 When you put your device on the Kbtel stand, it will appear to float on it. The micro suction pad holds your device firmly in place yet makes it easy to pull the device off so you can take it with you. The nice thing about this material is that it doesn’t seem to loose its ability to grip devices over time. It feels sticky but its not and doesn’t leave a residue on your fingers or your devices. I’ve had my Kbtel stands for several months now and they still have the ability to hold my devices as much they did the day I got them from Amazon. All that said, you are asking these micro suction pads to hold your multi-hundred dollar phone. Kbtel realizes this and includes a small plastic tray that you can attach to the micro suction pad to cradle your device. This give you the cradle but also a bit of the micro suction pad on your device – belts and suspenders approach. If you decide to use the cradle and then change your mind, you can easily peel it away from the suction pad. A similar and larger pad is found on the base of the stand so it will stay secure on your desk and not slide about. design and simple in function but are in my view just brilliant. The Kbtel stand is available for $16.99 through Amazon. It is available in the silver look as you have seen in this review but also in a gold tint if you prefer. It is a universal stand so it will work with anything virtually any mobile device and small tablet.